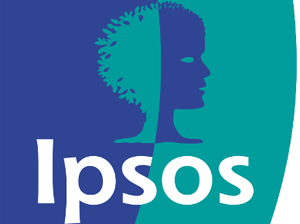 Ipsos, a leading global market research company today announced the launch of Ipsos Public Affairs in India. Flagging off the launch, Dr. Darrell Bricker, chief executive officer, Ipsos Global Public Affairs, said that some of the issues that could matter in public opinion in nations such as India are the challenges of growing opportunity yet inequality, of living in megacities, the rise of the individual, growing lack of social cohesion and the emergence of public opinion as a revolutionary force. One of the trends seen is that the credibility of experts is being increasingly questioned. Bricker outlined Prime Minister Modi’s recent comments on economic growth as proof of this phenomenon. Modi, recently took a dig at critics of demonetisation, saying that Harvard and Oxford intellectuals had called it wrong in light of the strong GDP growth figures for the latest quarter. Running alongside this phenomenon is that of strong perceptions which are not often based on facts. This is currently being see in rising nationalism globally. Nations as diverse as France, Germany, Netherlands and the US are showing the rise of nationalism. While Bricker did not name India in this list, on being questioned by PRmoment India, he elaborated that it is possible to study what motivates these feelings here as well. Bricker said that answers can emerge if you look deeply at the daily actions that define what is Indianness and how citizens feel about being Indian in various areas. India, of late, has been showing signs of muscular nationalism, which many believe is prompted by the current government’s tacit approval of right wing agendas. Ipsos defines public opinion as quite different from pure play public affairs, saying that the former is a tool to arrive at better policy making for organisations as diverse as corporates and governments. Policy and implementations are more successful when founded on public opinion, including perception. India is facing a dire need for an active management of perception for a more satisfied public; which leads to a progressive and developing society.